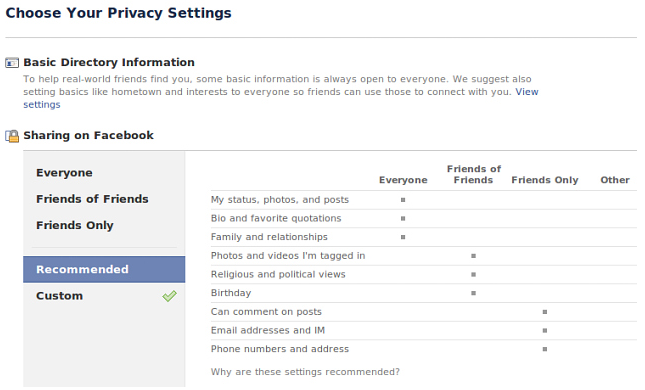 Facebook is in the process of rolling out their new privacy controls. Facebook is simplifying their system so with a single click you are able to set the privacy option on various account and information settings. Mark Zuckerberg announced the changes yesterday and there has been positive comments from various Government officials, Senators and technology commentators. More to unfold over the coming days as we see what users think of the change.